Ishka Villacisneros-Tusjakova is 27 years old and lives in Los Angeles, California. 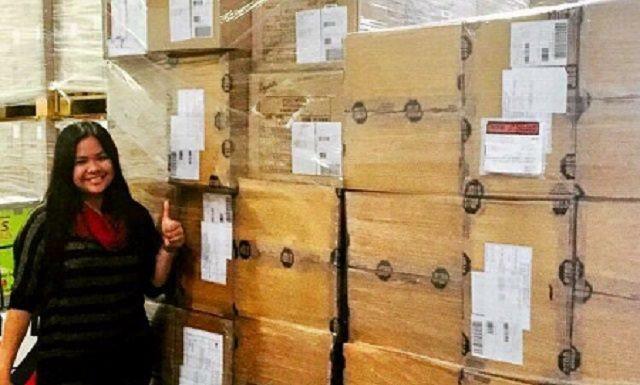 She may seem like your regular Filipina migrant who is starting her family abroad, but in fact, she singlehandedly built an internet empire that capitalizes on Filipinos’ love for imported goods. 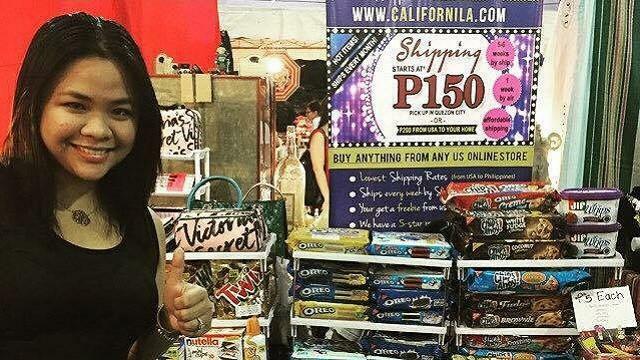 In her teens, she built Californila.com, formerly Stuff2Shop, an increasingly popular website that acts as your “Personal Shopper from California to Manila.” Whatever stuff you want in the US, Californila will personally purchase for you. It acts as your personal taga-padala that will ship straight to your door via Sea Cargo and Air Cargo, may it be in the Philippines or in other parts of the world. You may order from their online store, have a customized order, or even order in bulk. Years later, because of Californila’s success, Ishka not only has the financial freedom to buy sports cars and her own house, but she also employed her grandmother and other members of her community. Ishka migrated to Los Angeles with her family when she turned 18. She was fortunate enough to experience the exciting world of American shopping – she had access to the latest gadgets, novelty items and other unique products that her friends back in the Philippines wanted. Having this opportunity, when she made a bit of money from a part time job at a café, she would send items that are worthy to share to her friends and relatives in the Philippines. It wasn’t long before her relatives, friends and friends-of-friends took this as an opportunity to obtain commodities from American retailers, similar to nakikisuyo or pabili. “My friends and relatives were the ones who asked me for the ‘personal shopper fee’ because they realize there are expenses such as time, gas and shipping. That’s when I started the ‘Personal Shopper and Shipper’ service,” she recalled. To make ordering easier for her potential customers, she first set up shop in Multiply back in 2007. She called it “Stuff2Shop” but she was always apprehensive of her dependence on the free shop hosting website. “There were a lot of features that Multiply.com cannot accommodate so I decided to build my own site from [scratch]. I also had a bigger vision for the Californila website – to be an actual online store processing orders and special orders not on the product list on the site,” Ishka said. Being a Bachelor of Science in Information and Communications Technology Management graduate from De La Salle University – Manila, she quickly went to work to program her own website. She also created a system to make the process more efficient. 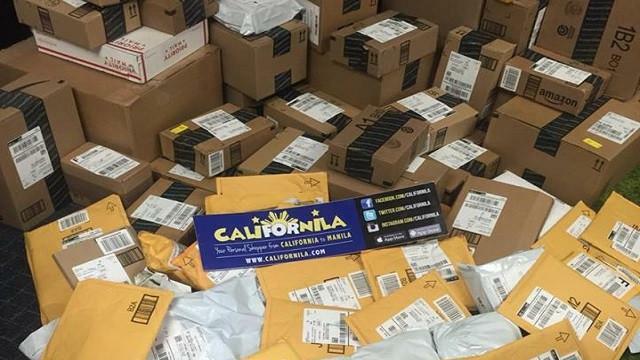 When the website Californila.com launched, they had around five to ten product orders a month and shipping once a month. Roughly three years later, they have around 5,000 to 8,000 product orders a month and they ship almost every day. “We’re actually moving to [a] bigger warehouse this month which is four times bigger than our previous office space,” she said. As the number of orders grew, Ishka realized that she is allowing Filipino consumers who are not in the US to experience the shopping privilege she had. “I provided them with [a] faster, more convenient and more affordable way to shop for products from the US without needing to wait for their relatives to bring it to them as pasalubong,” she said. The road to success hasn’t been easy for Ishka. For one, she did not have enough funds to accommodate all of the orders. She would even borrow money from her parents. Another issue she faced was the time difference. Ishka explained that this routine is made more challenging because on top of all of her tasks, she still needs to do personal or household chores like cleaning, cooking and doing laundry. She had managed to survive, however, because she had been trained well in managing her time. Before her migration to the States, she had already been a working student. In fact, she had been working as early as 11 years old, doing clerical tasks for her parents’ company. “I actually would like to thank my parents for giving me the opportunity to be exposed to these experiences at such an early age. Balancing school and work at age 11 can be challenging, but it’s really not that hard if you enjoy what you do,” she said. Eventually, she was able to take on bigger tasks such as payroll and database management at the age of 14. She would go to Makati after she finished school in Quezon City to release the payroll for her mom’s employees. On weekends, she would also work with her mom on their database management company. “It taught me how to manage my time effectively, to be more responsible for my actions and decisions but still have fun in everything I was doing. My parents made working seem like playing,” she said. “At 18, I started taking more risks when I built my own businesses so I started taking my own risks, learning from my mistakes, accept failure but still never give up on your dreams,” she added. And true enough, time management and her hard work paid off. 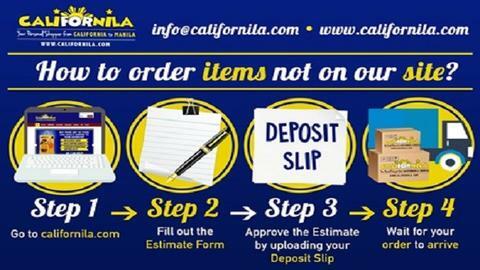 Californila.com grew and it also paved way for her to establish other businesses. She also currently runs a one-stop-shop Digital Creative Agency in Los Angeles which offers website design, graphic design, marketing, video production/TV commercials, billboard production in Las Vegas, and across Los Angeles and many more. She is also a partner of a popular online community portal for the Filipino people abroad. The portal provides up-to-date information on Filipino related businesses, events, deals and coupons, job openings and even offers easy-to-digest cultural information. It also gives the Filipino subscribers a voice and allows them to share valuable information and their experiences even if they are miles apart. With her earnings, she was able to buy a brand new BMW Sports Car at the age of 18, a Mercedes Benz SUV at the age of 23, and a house in Los Angeles at the age of 25. Despite these, Ishka believes that materials things should not establish the success of a person or a business. “True success is not measured by material things. True success is your happiness. One of my happiness about running this company is having the ability to hire my 83-year-old grandmother as one of my social media managers and also provide jobs to those who deserve to get a chance,” she said. “I think it’s all about the experience. There are a lot of hurdles I encountered that I know people I’m dealing with even threefold my age hasn’t even encountered. No matter what age you are, you can accomplish anything if you put your heart and soul into it,” she said. Ishka said that you need to conquer your fears before starting a business. From her experience, some of the common entrepreneurial fears are: (1) lacking enough background and knowledge to get started; (2) fear of failure; (3) being overwhelmed, and; (4) initially losing some of your own money. “The fear of the unknown will always be there and there’s always a room for improvement, but I believe once you build your own structure and find people who you can trust and invest on, your business is on the right track,” she advised. And of course, running her own business has its perks. “My business is a reflection of who I am. Handling my own business feels like I’m in my own playground. If you actually visit one of our offices, you’ll see a fun working environment where employees would consider it a place to work and play,” she said. Five years from now, Ishka looks forward to a lot of changes, especially since her business heavily relies on technology. For Californila, she’s envisioning the company to make online shopping abroad to be as simple as shopping at your local malls but getting the convenience of shopping from anywhere, from any of your mobile devices. Despite the fickleness and fast-paced characteristic of a digital business, Ishka firmly believes that starting your business online is the way to go. She attested that it is extremely inexpensive, you’ll have more flexibility of your time, you have the freedom of choosing your location and you have unlimited income potential. Copyright 2017 Ishkaster Media. ALL RIGHTS RESERVED.